Well it’s been a pretty good week for rumors, the quantity hasn’t been big, but the quality is what this week delivered. with 3 big hitters including Dead Space 3 being outed, Dan Dawkins suggesting Metal Gear Solid 5 will be set in Africa and that Big Boss will play a big role in the game, all the way through to the God of War IV rumor proving true this week, and revealing God of War: Ascension for Playstation 3. If all these rumors turn out to be accurate, we’re going to be getting a lot of really good games coming soon. Well the trailer Sony was waiting to reveal proved exactly what we were all thinking. Except Sony were never actually the ones to reveal it, the trailer ended up being outed by Amazon instead, I should bet Sony were probably not too happy, but publicity is publicity none the less. We didn’t get too much detail on the game, other than the fact that it will revolve around Kratos and it will be a prequel, other than them stating it was their “most ambitious project” we got no hint as to what sort of changes to expect from the gameplay. But they did tell us to check back on April 30th to get a glimpse of what to expect from the game. Maybe then we will get some gameplay, or at least a bit more insight to the setting of the game. Maybe the combat system will get some form of overhaul? I have no real major complaints about the current system for God of War, however it would be nice if they were to spice it up a little. It’s functional, but often bland. You can be assured that anything with a boss involved will end in some form of epic scene, but the general combat is nothing to get worked up about visually. Hopefully this next entry will see Kratos displaying his power in regular battles as much as he often does in boss fights! Dead Space 3 appears to be showing up a lot recently, first it was spotted on the cover of UK magazine PLAY, then a few days after it was listed on South African site BT Games. This game is currently the focus of a good few rumors, aside from its existence it is also rumored to be running on the powerful Frostbite 2.0 engine co-developed by EA and DICE. So lets break down what some of these rumors indicate. Firstly, the fact it is appearing in magazines and on online retailers at this time of the year means it’s getting pretty likely that we will see a reveal for the game at this year E3. This might not be too unexpected since the timing would seem fairly appropriate considering the last game was released January last year. This would give them a chance to show it off at E3 and ship the game out January 2013, giving them a 2 year gap between releases, something many publishers seem to have become very found of over the last few years. Secondly is the rumor that it may be running on Frostbite 2.0, and how it could affect the game. Although the Visceral engine has served them well in the past, the Frostbite 2.0 engine sports the most impressive lighting system currently available in a game engine. This could be hugely beneficial for a game such as Dead Space. With such a huge focus on what is lurking in the darkness having the best lighting available on the market could really add to the tense atmosphere the Dead Space games bring. Especially with such impressive glare effects, I can only imagine how good it could look seeing the shadow of a Necromorph sprayed across the wall, limbs twisting like dead tree branches in the furious winds of a storm, all powered on Frostbite 2.0. 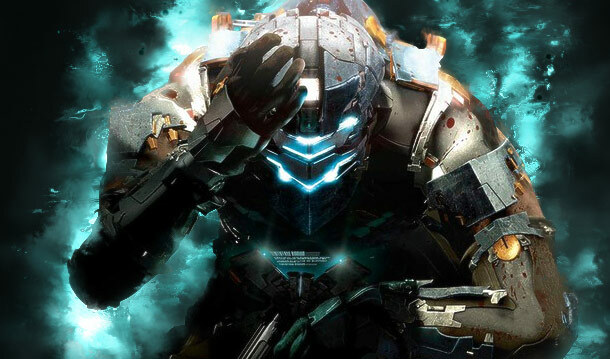 Yeah I am more than a little bit excited about seeing Dead Space 3 revealed. Now this is a pretty hefty rumor, coming from Dan Dawkins, the man who managed to successfully predict the characters and setting for Grand Theft Auto 5 way before any of it was announced officially, and he was right on the money. This of course mean there is a good amount of weight carried by this rumor. What Dawkins did was take a thorough analysis of the Metal Gear history, Kojimas ever confusing tweets and the few glimpses that have been shown of the new Fox engine to get some sort of picture of where the franchise could be going next. The proposed setting is a prequel in Africa, with Big Boss involved heavily, I would assume as the protagonist. This of course wouldn’t be the first time we have played as Big Boss, he has been the protagonist of two of the most critically acclaimed games in the Metal Gear franchise, Metal Gear Solid 3: Snake Eater and Metal Gear Solid: Peace Walker. Playing as Big Boss again would certainly not be anything new, but perhaps the setting could bring something new to the game. Both Big Boss and Gray Fox have been linked to the setting in the lore of the franchise so this could possibly involve two of the most interesting characters in the entire franchise, meaning we could be getting one hell of a game. But to top it off, all videos of the Fox engine in use so far have featured environments similar to those found in Metal Gear Solid 3: Snake Eater, a game that reinvented stealth for the franchise, so perhaps this would be set to do the same.